Canada is now fully entrenched in its goal to rescue 25,000 Syrian refugees. And while the timelines may be a bit longer than anticipated, the commitment is real and ongoing. Many issues confront government as they continue down the rescue path but possibly the most urgent is one of housing. Canada is now fully entrenched in its goal to rescue 25,000 Syrian refugees. And while the timelines may be a bit longer than anticipated, the commitment is real and ongoing. Many issues confront government as they continue down the rescue path but possibly the most urgent is one of housing. All government-sponsored Syrian refugees are recommended by the United Nations Commissioner for Refugees (UNHCR) for settlement in Canada. They are often the most vulnerable of those hoping for a new life. Many are families. 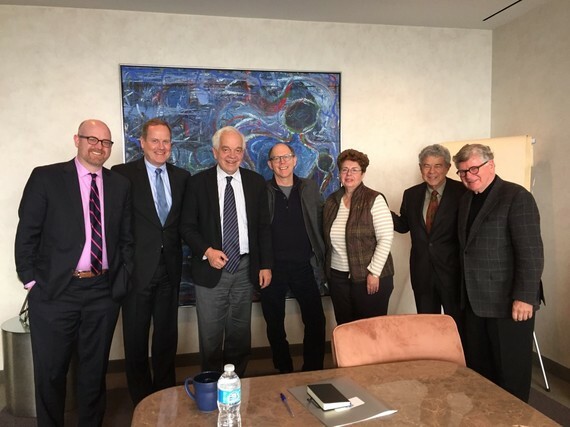 A cadre of top housing industry personalities met with The Hon John McCallum, Minister of Immigration, Refugees, and Citizenship, to discuss this very question. The main challenges for swift resettlement are vacancy rates and finances. HumanityHouses, a nonpartisan subcommittee of HumanityWins, met with the minister on Monday morning. HumanityHouses subcommittee: (from left): Benjamin Shinewald, BOMA; Randal Frobelious, ECI Real Estate; The Hon John McCallum; Mitchell Cohen, Daniels Corporation; Hanita Braun, Verdiroc; Robert Eisenberg, York Heritage; and The Hon Ron Atkey, Chair. HumanityHouses is an offshoot of HumanityWins, a committee of prominent Canadians convened by the Mosaic Institute, a Toronto Charitable think tank. HumanityHouses exists to offer insights to the minister as the government creates solutions to house government-assisted refugees across the country. The main challenges for swift resettlement are vacancy rates and finances. As we all know, finding housing in Toronto, Montreal, or Vancouver is difficult, and the rent prices are steep. The government is committed to placing refugees across the country; there are already 23 cities and towns signed up, and the list is growing. But smaller towns lack the social infrastructure of large cities, and large cities lack the space of small towns. Balancing these needs are paramount to ensuring a smooth transition into Canadian life. Even if available units are identified, rent cost becomes an issue. Funding has been committed, but it will be tough to finance housing at market rates. Rent supplements, or other incentives, are needed to bridge the gap between available funds and cost of living -- regardless of whether the refugees are in large cities or small towns. In discussion with the minister committee representatives identified a need for constant communication between industry representatives and government planners. They noted that, in the absence of a national housing strategy, connections between those with available housing and those in need of it must be made quickly, securely, and effectively. While many in the private sector have heeded the government's call for partnerships, HumanityHouses believes that more can be done. Ideas were presented about how to best mobilize more companies to recognize that the issue of settling Syrian refugees is a humanitarian responsibility, but one that ultimately contributes to building a better Canada. Ideas raised about online tools, such as newsletters and matching platforms, highlighted that the decision to accept refugees is a national issue that supersedes one ministry, or even one industry. Other Ministries, such as Infrastructure, and other industries, such as education, have their own roles to play. During the meeting, Minister McCallum noted that the decision to accept refugees is humanitarian in the short-term, but in the long term it is really about building Canada. As refugees settle and adapt to being Canadians, their stories merge with the rest of our immigrant narratives. 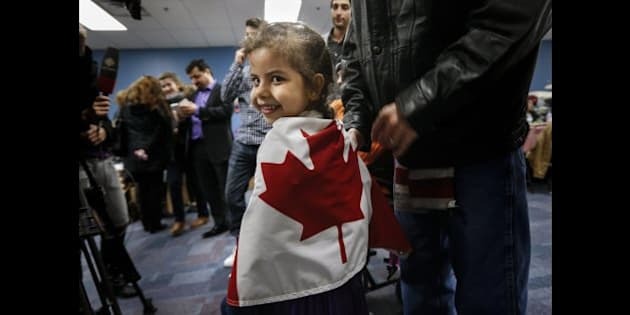 The minister's perspective indicates that the government will not sacrifice interests of other Canadians in an effort to welcome Syrian refugees, as some have claimed. Instead, the minister assured the group that the refugee question is one piece of a larger puzzle of how to best move Canada forward into a new age -- one that includes shorter processing times and more partnerships. Committee Chair, the Hon Ron Atkey, knows this cycle all too well. He was Minister of Employment and Immigration during the Joe Clark government and one of the people who spearheaded efforts to bring over 60,000 Vietnamese refugees to Canada in the late 1970s. As Mr. Atkey recently noted, "Many of these individuals and their children have made great contributions to Canada, including Senator Thanh Hai Ngo, philanthropist Phan Thi Kim Phúc, and gold-medal athlete Carol Huynh, to name a few." The Syrian refugees will also contribute positively to Canada. However, safe and affordable housing is the first priority. With thanks to Rachel Mansell for her assistance on this column.